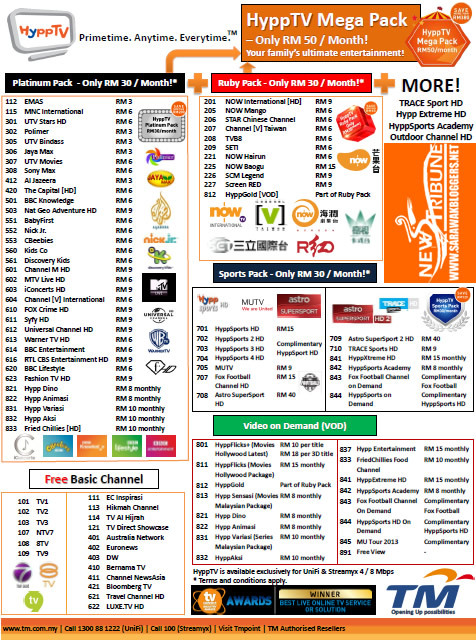 TM has released a special deal for those keen to subscribe the HyppTV, and the package is called ‘HyppTV Mega Pack’. 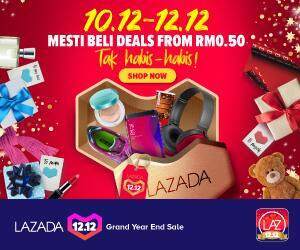 According to what we could gather, the package comes with both the Ruby Pack (Which is RM30 a month) and the Platinum Pack (RM30/month), into one package, known as the Mega Pack. Those keen could refer to the schedule below for more details. Next articlePahang vs Sarawak viewing party this Saturday!